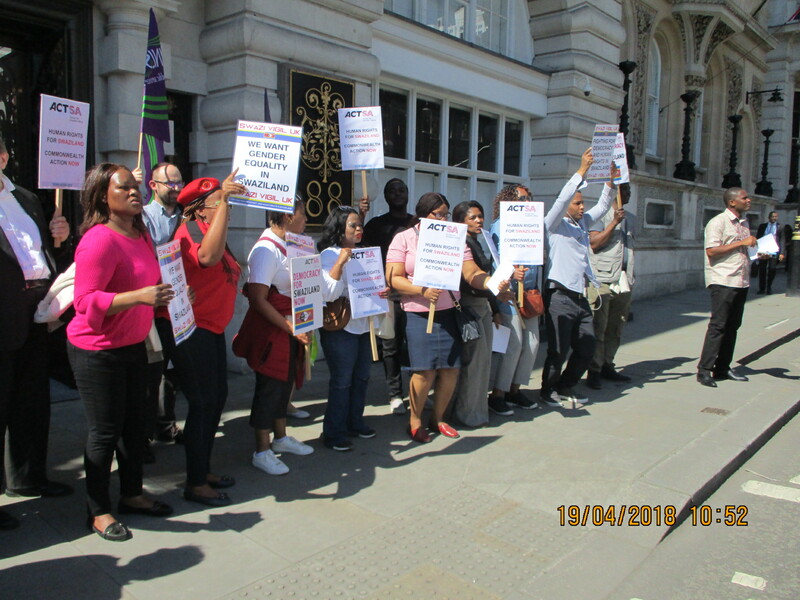 Exiled Swazis / eMaSwati participated in a political protest at the Commonwealth Secretariat where a Heads of Government for the Commonwealth countries was held from Monday the 16th April 2018. The protest was hosted by Action for Southern Africa (ACTSA). The protest commenced at 11:30hrs on the 19th of April 2018 and was coordinated by ACTSA's Senior Campaigns Officer - Sunit Bagree. 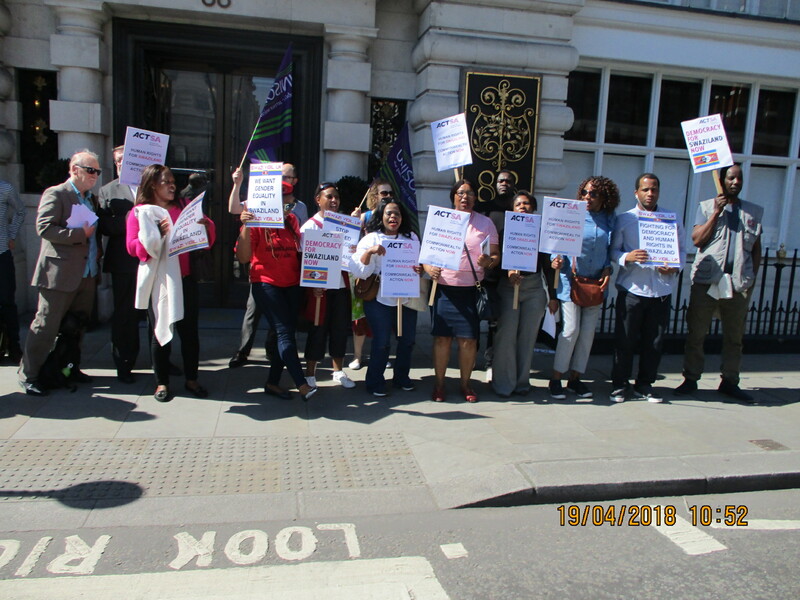 The protest started at the corner of St James' Street and Pall Mall and later moved to the near the Commonwealth House entrance, which was opposite the temporary entrance to the Commonwealth Secretariat building. Initially ACTSA communicated that Mswati III of Swaziland would possibly attend the Commonwealth meetings, but it was later learnt that he instead sent the prime minister Sibusiso Barnabas Dlamini to represent him. 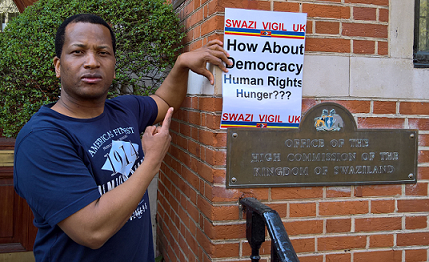 The protest was attended by various organisation notwithstanding Action for Southern Africa, Swazi Vigil UK and others. Protesters used the usual song and dance style to draw attention from members of the public, the Metropolitan Police, other protesters from other groups and the Commonwealth Meeting delegates.